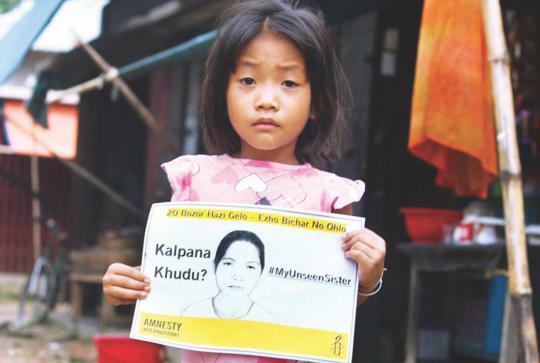 It is a champagne by Amnesty International for demanding re-survey about the Kalpana's(23years) abduction on 12th June 1998 by an army officer and the village defense party. It is not only Amnesty but a many Civil Society in the world. The Government and Police have tried more than 5 times survey but they couldn't touch the names of Perpetrator and wasting the time, even the most of people in CHT knows the names of them. How long it will take to finish it.